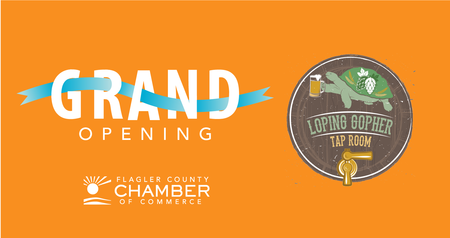 Join us to welcome our new neighbors Loping Gopher Tap Room. Come enjoy upto 36 taps. Loping Gopher also provides live local music weekly and hosts trivia nights. Please come out to support a fellow Chamber member and bring your friends and plenty of business cards for networking! There will be food and drinks. For more information please call (386) 437-0106.